From their humble beginnings with consistent hard work, dedication and an eye for the future, Ben Many and George Bishop Sr. built what we know today to be Western Specialty Contractors. What started as a small waterproofing contractor in St. Louis, Missouri, has now become a nationally-recognized Top 20 Masonry and Concrete restoration firm*. With over 30 offices nationwide, our network of skilled member companies and workers carries out the vision that Many and Bishop had 100 years ago. Craftsmanship and relationships are the foundation on which this company started and continues to grow. 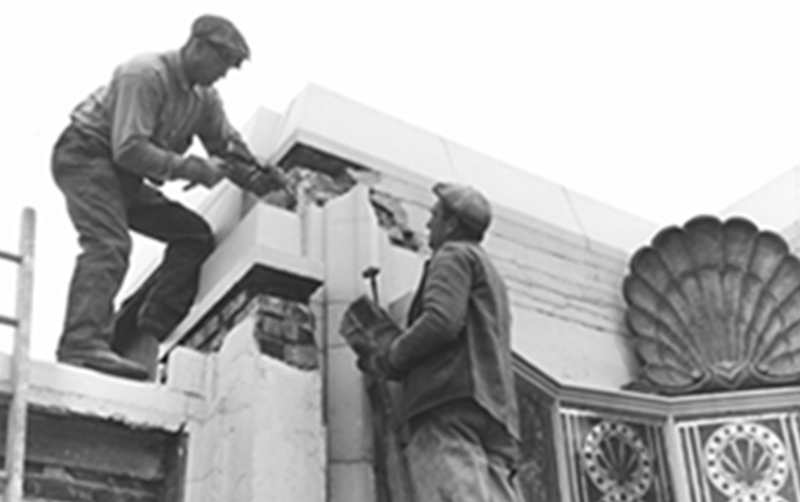 Western Specialty Contractors’ success extends beyond the facades of the buildings we restore. It’s much deeper. It starts with building relationships and taking the time to do things right. For 100 years, we have focused on our employees and our clients as well as the innovations and changes in the industry. Without great people, we would not be able to do great work. As a third generation owner, this is my family’s business. In the time since my grandfather started Western, the family has grown to include people in over 30 offices across the country and clients with projects in major cities all over the U.S. The people who work for us and the people for whom we work, are the key to everything we do. If you believe in the same principles of trust and respect and would like to work for us, please visit the career section. Or if you are looking for a quality firm to take on your restoration project, I invite you to look through our work or contact us to learn more. *Excerpted from Engineering News-Record, October 9, 2013, copyright by The McGraw Hill Companies, Inc. with all rights reserved.